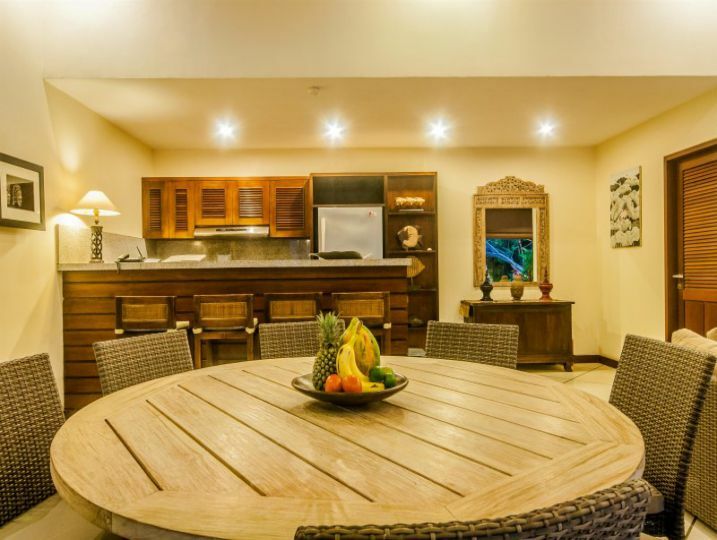 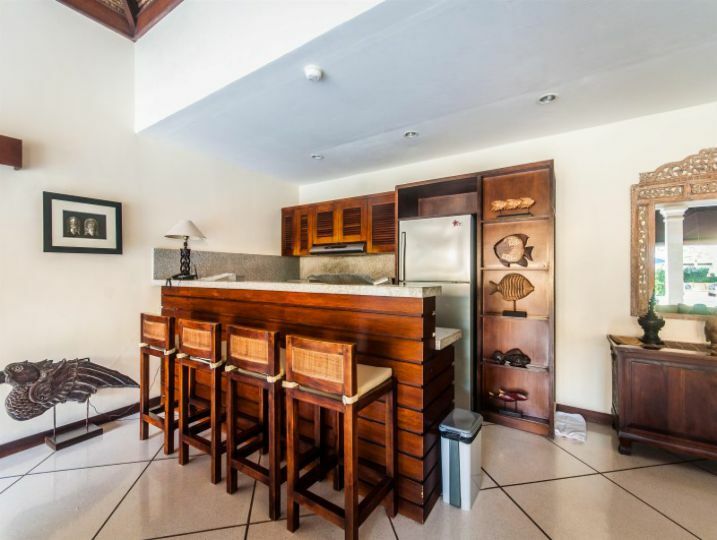 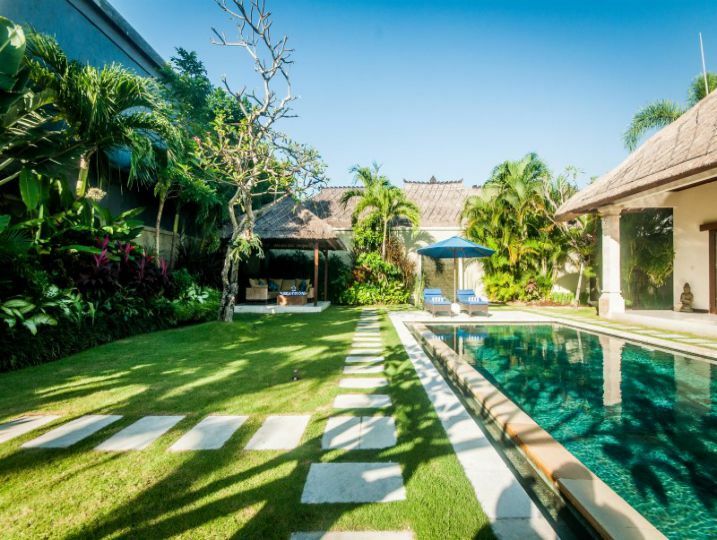 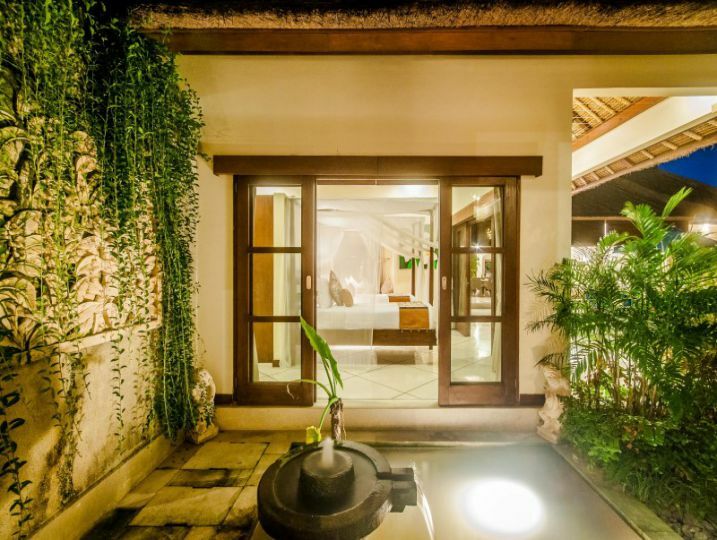 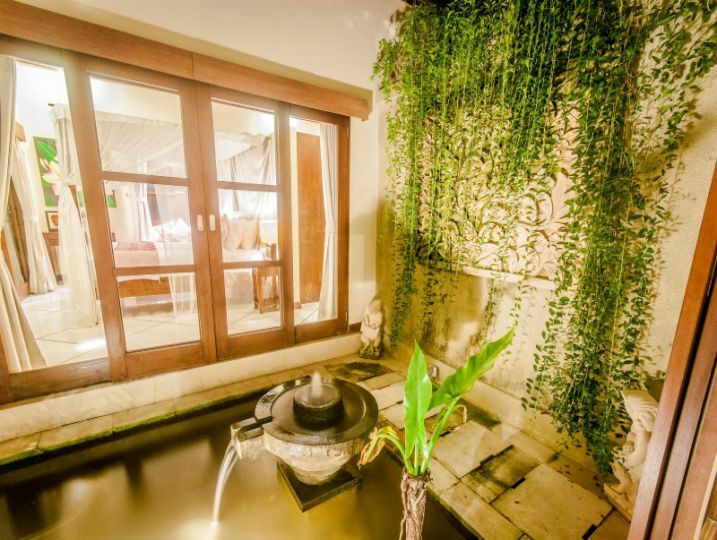 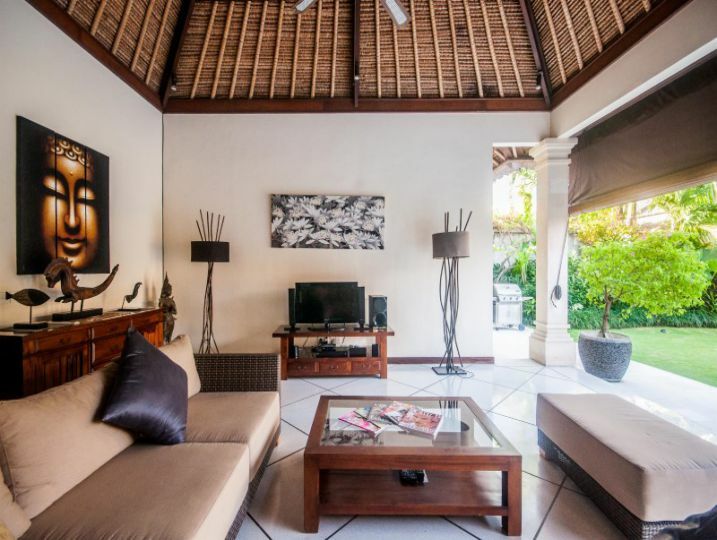 Villa Santai is a charming and beautiful 2 bedroom pool villa with stylish interiors features a mix of antique and modern making a relaxing a mood during your stay. 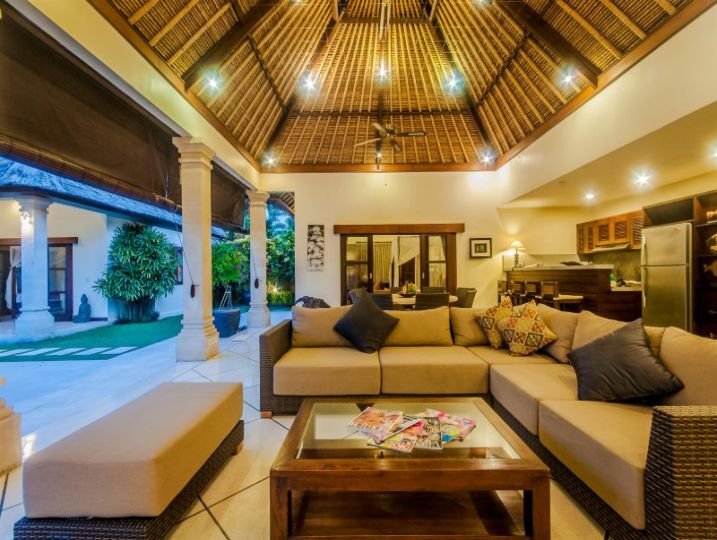 The Villa sleeps 4 people comfortably. 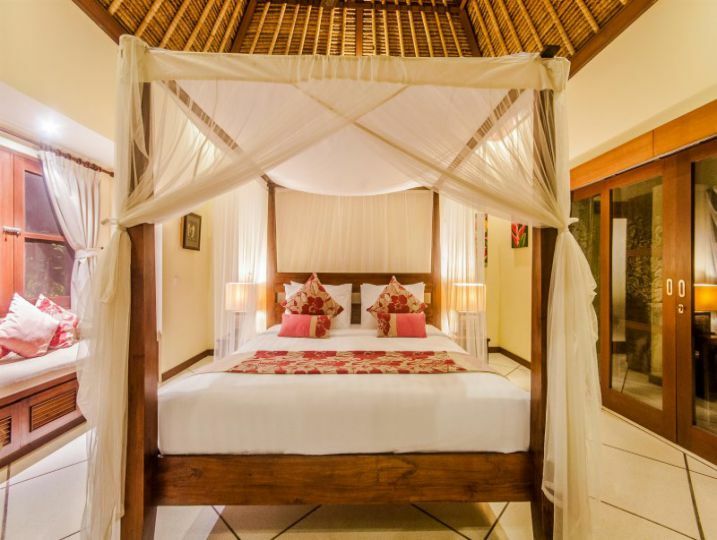 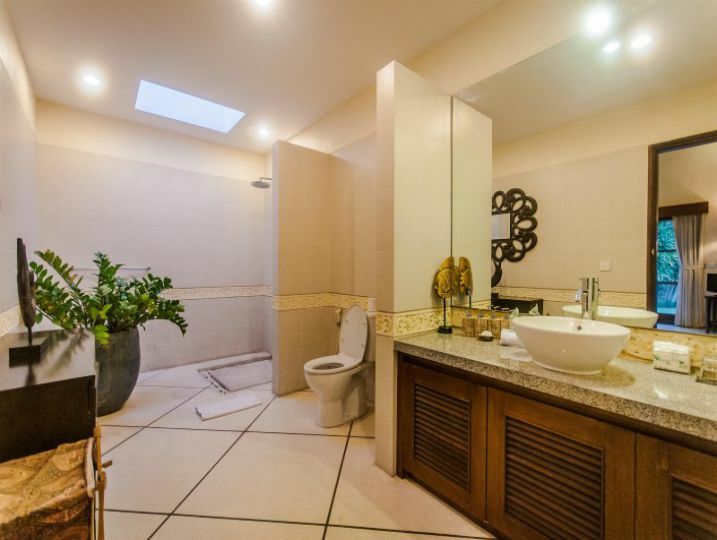 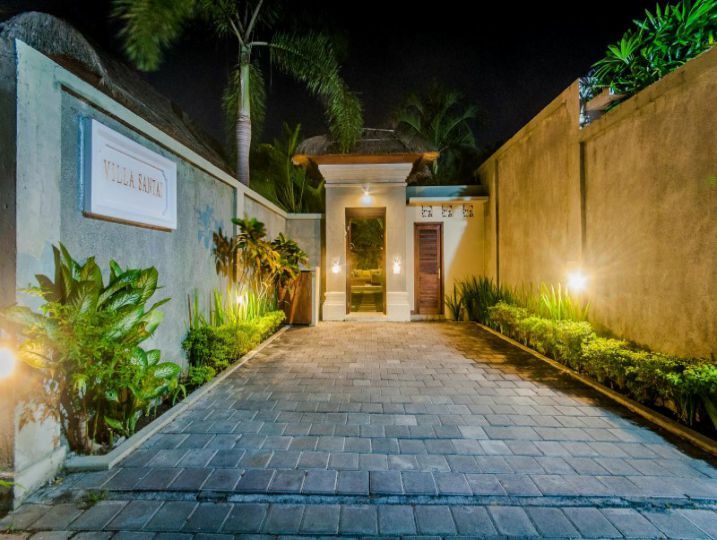 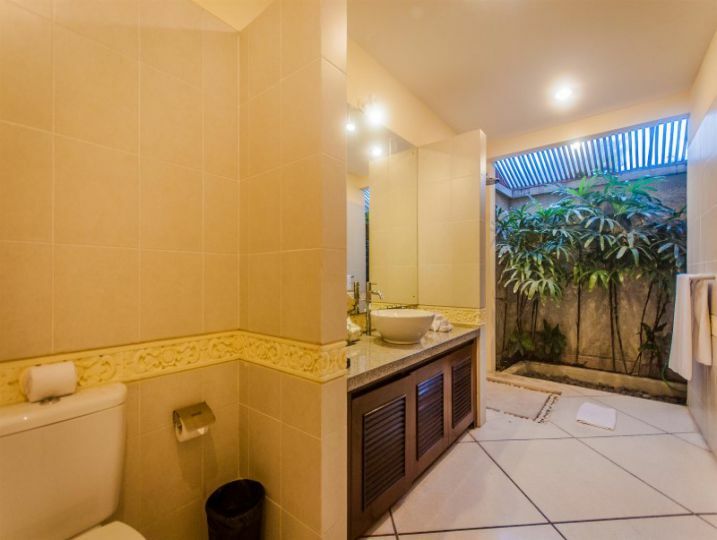 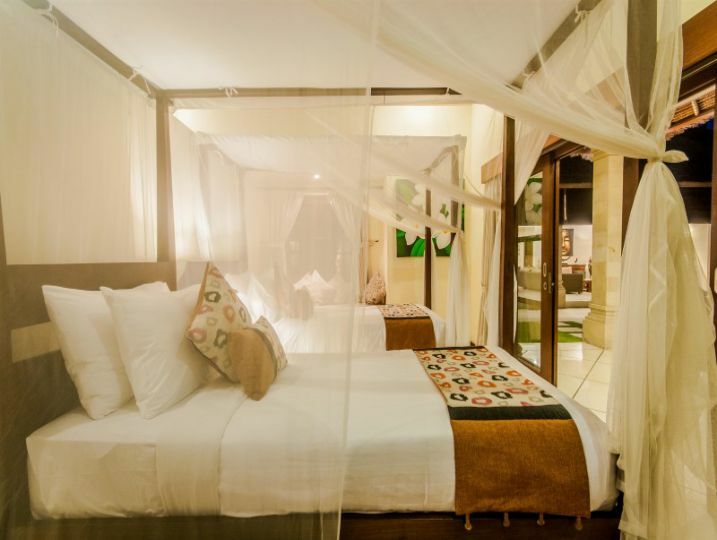 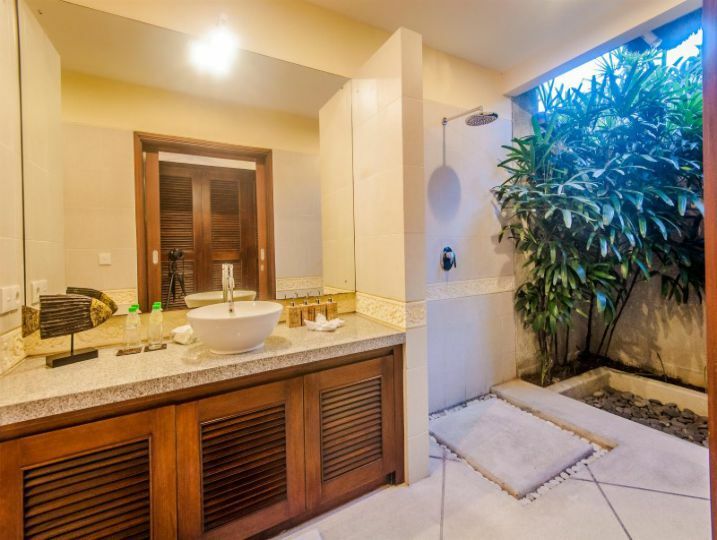 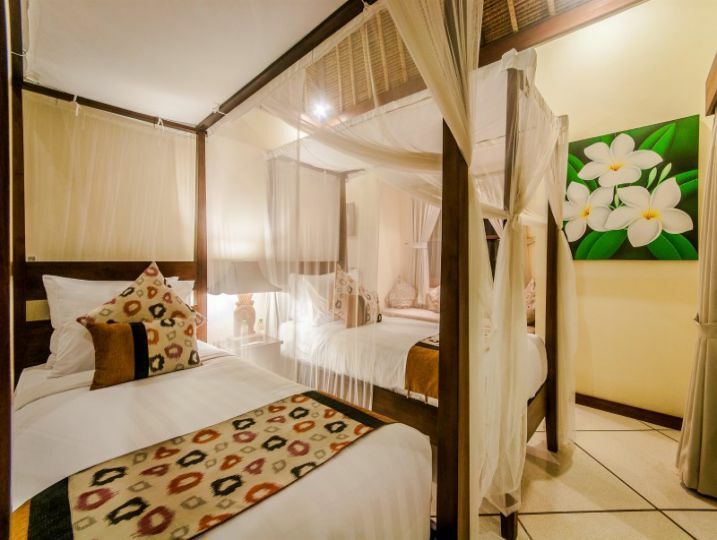 Villa Santai offer two suite bedroom furnished with queen size double beds with quality linens, lamp table, AC, private en-suite bathroom feature showers, internal vanityës, mirrors, toilet, towels, soaps and shampoos. 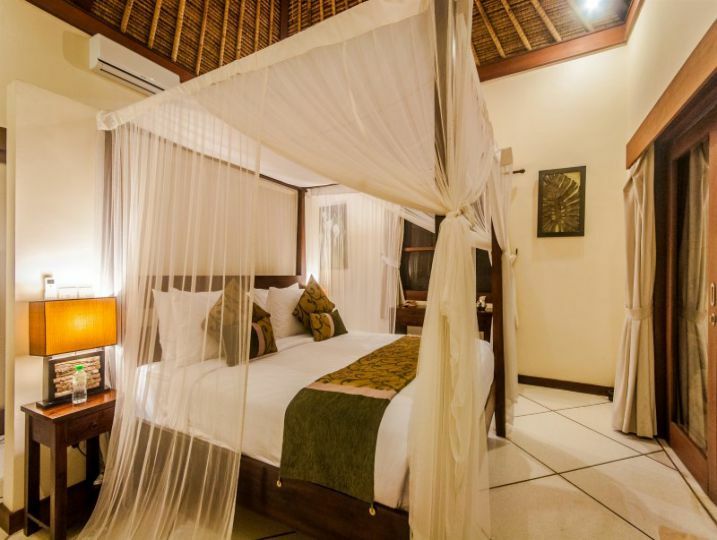 The first bedroom is located on the ground floor facing living area and has a view of swimming pool from glasses windows. 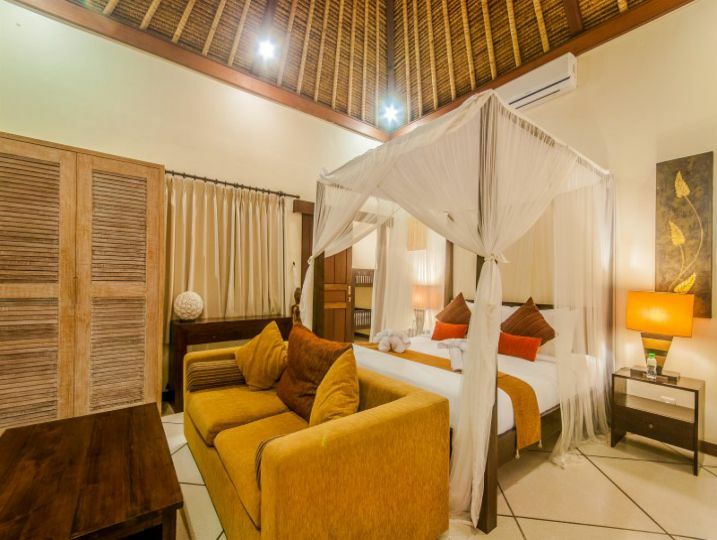 While the second bedroom on second floor overlook a mango tree. 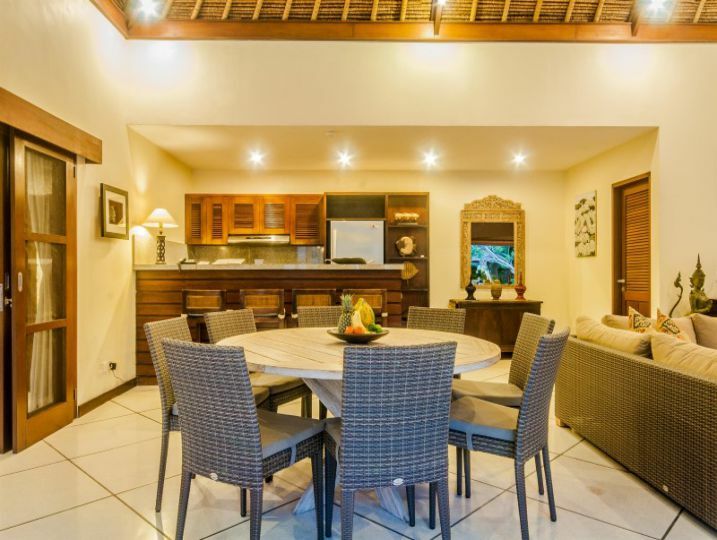 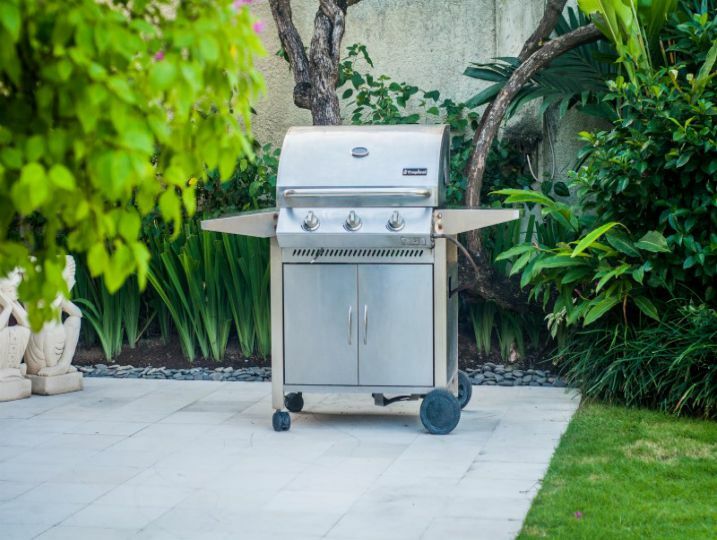 Villa Santai Batubelig is available for selected dates.